We offer 17 years of experience in floristry and a first class service using only the best quality flowers and products. The Flower Hamper is a modern florist incorporating traditional floristry methods to suit all your requirements. We provide same day delivery to Southend, Benfleet, Shoebury, Rayleigh, Eastwood and more. Flowers for all your special occasions, be it, birthday, new baby, anniversaries, moving home, get well and many more..
We cater for weddings, functions and funerals and can offer an appointment service for a more personal touch should you require a little more time to fulfil your requests. Thank your for visiting our website. We hope you find what you are looking for but if you cannot please telephone the shop to discuss your requirements. 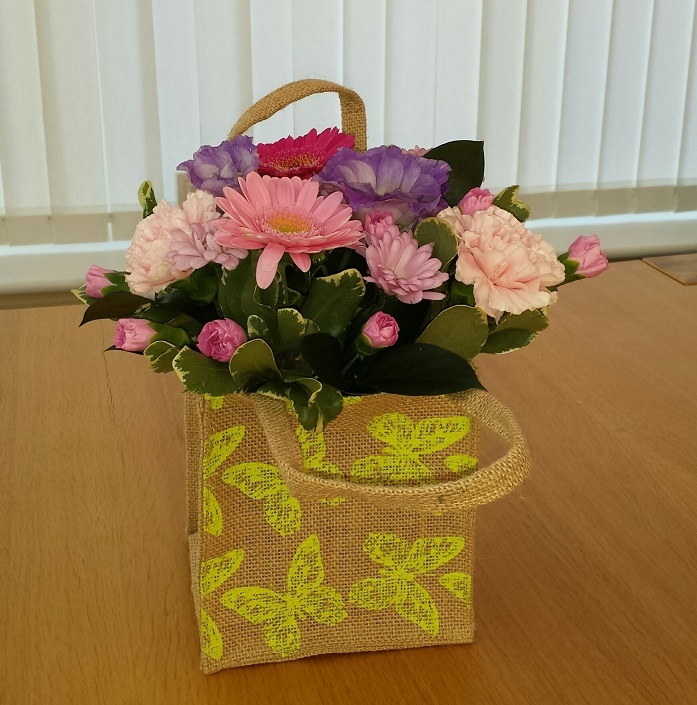 Most arrangements can be made in a variety of colours to meet your specifications.